One of the best on-ear, open-back headphones of our times. With a lightweight vintage design, Grado SR80e Prestige Series headphones offer minimalist style with excellent sound quality in an open-back on-ear package. There’s a lot of hype about these open headphones, and we think there’s good reason for it. Find out why in the Grado SR80e review below. How are these different from SR80i? Grado claims driver design upgrade with the new SR80e being more well rounded overall. Apart from that they seem to be almost identical. Lightweight on-ear design is comfortable for all day listening. 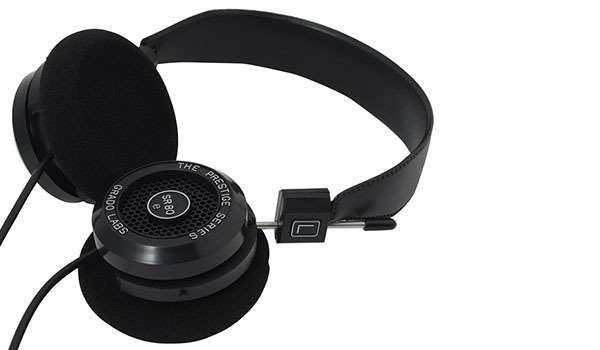 The on-ear and open-back ear cup design of the Grado SR80e, makes these feel super lightweight and easy on the ears. Simple foam ear cushions feel a bit scratchy at first, but they aren’t too annoying. The nice thing is that the foam cushions don’t get too hot or sweaty. If you don’t like the foam ear pads, they can be replaced easily with a lot of different options from Grado and other manufacturers. The thin spring-steel headband doesn’t have any padding, but it is fairly wide and has a vinyl cover for a pinch-free design. Ear cups attach to the headband with a simple rod and pivot mechanism. The lack of a hinge means that the headband provides most of the ear cup angle adjustment. The pivot works great and feels sturdy. The headband seems to fit a little tight, but it can be gently bent out to fit larger head sizes. Since these aren’t over-ear headphones the head clamp has to be a bit stronger. With time it softens and they become very comfortable headphones. 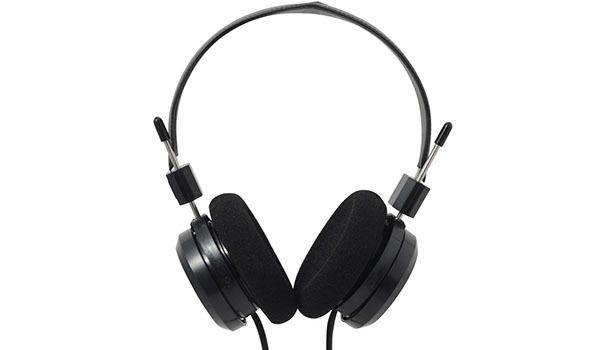 The fact that these are open-back headphones makes them a poor choice for working in loud environments or commuting due to the poor noise isolation. However, this same design is great for overall sound quality, as we’ll explore soon. Design is robust with basic plastic and metal components. The molded plastic housing and components of the Grado SR80e don’t look or feel like high-end headphones, but they are sturdy and well built. Ear cups pivot on a metal rod to lay flat for storage, but there is no hinge or folding option. The cable has thicker insulation than some other headphones. This makes the cable durable, but the extra weight can be harder on the strain relief and connection points. You “can” accidentally drop this pair of headphones without fear of significant damage simply due to their minimal weight. Grado offers one-year warranty though it’s limited warranty according to their documents. Vintage style with a focus on sound quality. While other headphone manufacturers design fancy headbands and ear cups, the Grado SR80e uses a simple design to deliver great sound at a lower cost. The retro design style is pretty basic and there aren’t any special features like an in-line microphone or volume control. The headphones do come with a ¼” stereo adapter, but that’s about all you get for frills. Excellent sound for a variety of music styles. There is one thing you can definitely expect from these open-back headphones: a wide soundstage. Music from these cans won’t feel like it is pressing in on you. Instead, you’ll be able to perceive a spacious amount of detail that doesn’t clutter the soundscape. You’re getting high-end audio for an affordable price. The bass is tight and controlled, but it can be easily drowned out if there is louder background noise. So not perfect for bass lovers but more geared towards listeners who like a balanced signature. Highs are airy and crystal clear without sounding brittle or sharp. Midrange cuts through the mix in a balanced way that provides power and presence without being too harsh. Sound reproduction from the Grado SR80e headphones isn’t perfect, but it might just be among the best bang for the buck at this price point. Another nice thing with these precision drivers is that frequency response and articulation are good whether you listen to low or high volume levels. Even though the frequency response isn’t perfectly neutral, these Grado headphones sound great when listening to just about any music style. You can enjoy classical music, pop, rock or hip hop with a great balance of bass, mids and treble. 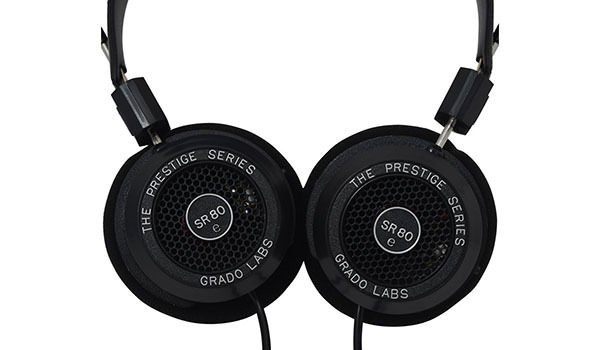 If you want lightweight on-ear headphones with near audiophile quality for under $100, the Grado SR80e Prestige Series headphones are an excellent choice.